BROWNSBURG, Ind. 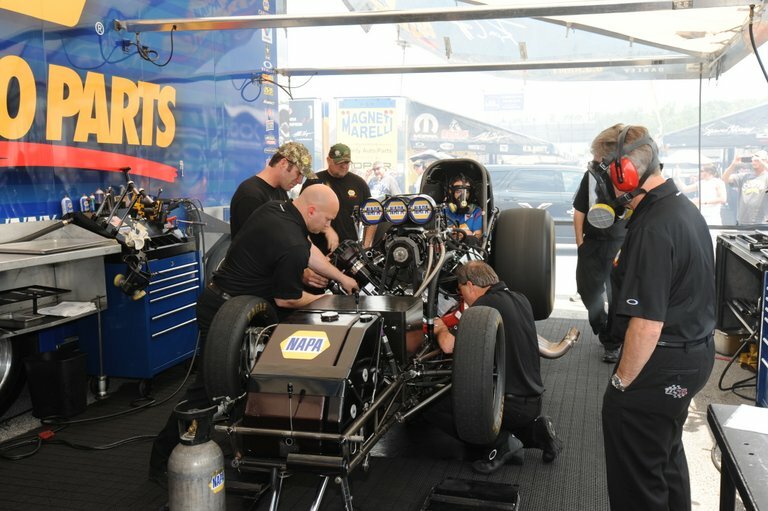 (May 15, 2013) – Crew chief Rahn Tobler is methodical about how he approaches each drag race and never loses focus on what it would take to win a season championship. 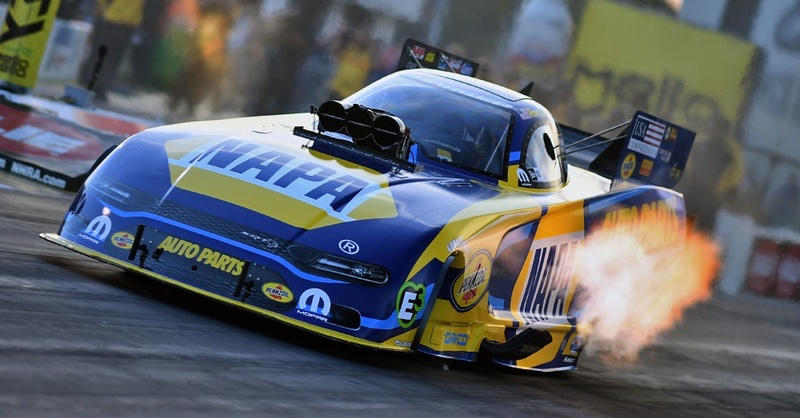 NAPA AUTO PARTS Funny Car driver Ron Capps fully understands the three-time world champion crew chief’s melding of short-term with long-term goals. And sometimes it takes patience for Tobler, Capps, assistant John Collins and the rest of the crew on Don Schumacher Racing’s Dodge Charger R/T Funny Car. And that patience has been tested in four of the past five Mello Yello Drag Racing Series events. Capps started the season with a runner-up finish in the opener and followed that by winning the next event title at Phoenix. But the team was unable to get past the first round of the next three races before advancing to the semifinals at Houston two weeks ago followed by a second-round loss Saturday at Atlanta. Tobler shifted to testing mode after winning the Phoenix title by trying some new parts and set-ups in preparation for the season’s long haul over the summer that starts Friday with the NHRA Kansas Nationals at Heartland Park Topeka. 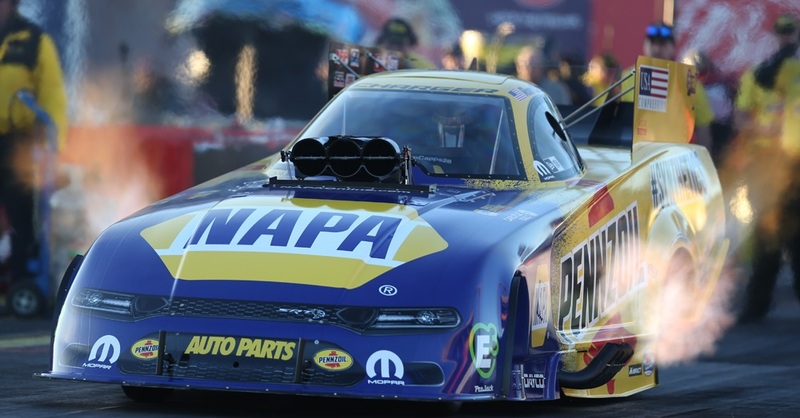 “We tested what we wanted to test under race conditions and learned some great things,” said Capps, who has won 39 NHRA titles including three at Topeka. “What we learned applied to a track like Atlanta and will apply to tracks coming up like Topeka. Capps and Tobler appeared to be the pole-winning time of 4.073 seconds at Atlanta until DSR teammate Matt Hagan followed with a better 4.067. 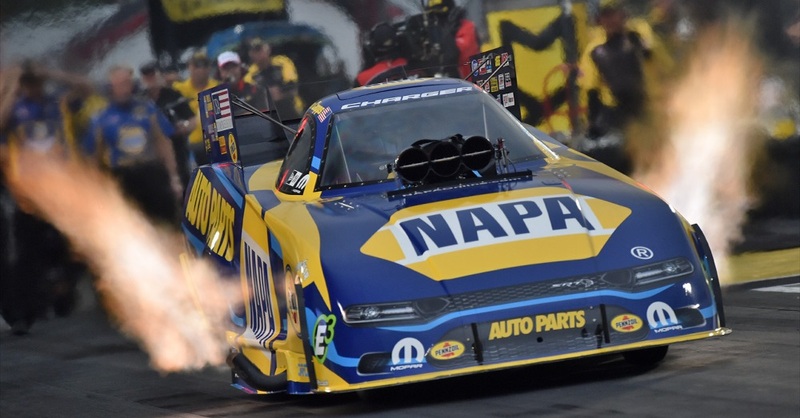 The NAPA team started Saturday’s eliminations with the quickest time in the opening round but a mysterious gremlin snuck into the Dodge and cost it a chance of advancing to the semifinals when Capps lost to another DSR teammate, Johnny Gray, who went on to win the title. 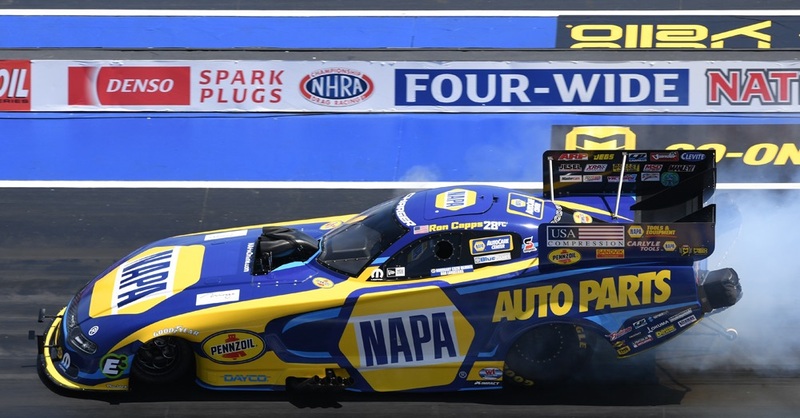 And Capps couldn’t think of a better track for the NAPA AUTO PARTS team to make a move in the standings and improve on its No. 4 ranking. “I have great memories of Topeka. We used to have two races a year there and always had good mojo there. We get a lot of NAPA people coming from all around Kansas. Topeka draws fans from a lot of areas. It’s so centrally located people come from all over. You get a real eclectic group of fans. And it could be the first time since the second race of 2013 where Capps can celebrate with them. Last event (May 10-11, Atlanta): Qualified No. 2; lost in second round to Johnny Gray. A year ago at Topeka: Qualified No. 4; lost to Jack Beckman in championship round.